In 1994, the US Air Force published a 32-page report titled: “Radiofrequency/Microwave Radiation Biological Effects and Safety Standards: A Review,” authored by Scott M. Bolen. The supervising agency was Rome Laboratory at Griffiss Air Force Base in New York. Read and download the complete 32-page report here: USAF Report 1994 Biological-Effects . To this day, many if not most governmental agencies and scientists in North America and abroad maintain the position that RF and microwave radiation are only damaging to the human body at power densities high enough to cause a heating effect (a so-called “thermal effect”), like a microwave oven. The position, while completely unsupported by fact, is very convenient for the multi-billion-dollar telecommunications industry (cell phones, WiFi) as well as the military’s own use of these same technologies—technologies whose radiation is, for the most part nonthermal, in nature. In other words, this USAF report from 1994 all but states that the ANSI (American National Standards Institute) Standard of the day was insufficient for protecting the public from the nonthermal effects of RF/MW radiation. 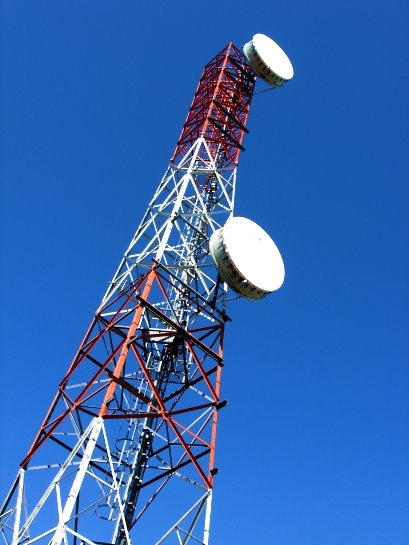 At the time this report was written, that Standard for exposure was set at 50,000 mW/m2 (5 mW/cm2 ) for for frequencies between 1,500 MHz to 100,000 MHz. Today, the maximum exposure limit set by the FCC (Federal Communications Commission) for RF radiation in the 850-2400 MHz range (smart meters and other wireless devices) is 10,000 mW/m2. However, that level is more than one million times higher than the exposure limits set out in the 2012 BioInitiative Report. The BioInitiative Report caps exposure to RF radiation at 0.006 mW/m2 . The point being: the “safe” levels for RF/MW exposure that are laid out in this 1994 USAF report, as well as in current “safe” levels stipulated by North American governments (such as Canada’s Safety Code 6 and the FCC in the US) only address thermal effects of RF/MW radiation and have no bearing whatsoever on the far more serious nonthermal effects that unequivocally exist. The public is simply not being protected. This entry was posted in Reports and tagged air force, electromagnetic radiation, invisible effects of EMR, microwave sickness, microwaves, New York, risks of wireless technology, Rome Lab, US military on September 6, 2014 by Kim Goldberg. The Oklahoma legislature has an EMR Interim Study coming up in October . The more we can produce documented reports , research, data such as this , the better. I plan to forward this to the state rep. To educate him as much as we can. We are up against one of the most powerful –Utility Companies. Who would you suggest here in the United States to fly in to speak on the harmful effects of smart meters? I have enjoyed your stories and interviews very much; so thank you for your website and the effort to get this out among all of us. I have done lots of research and I have read all the books out there on EMFs, going back to the Russian studies, Paul Brodeur’s books and others, such as the Bioinitiative Report, German and French studies etc. In my following the breadcrumbs I ended up reading Dr. Mae Wan Ho’s books “the Rainbow and the Worm, and The living Rainbow, H2O” wherein she looks at water and it’s many different states, how it presents itself in the cell and a whole lot of different aspects. This is looking at the cell and human beings as Quantum beings, which changes the current interpretations of “normal” biology completely. According to her any EMFs besides the original EMFs that we evolved with are deleterious to all organisms that evolved with us on this planet. Then I visited the website of Jack Kruse (jackkruse.com) and I found there a wealth of information that is based on this very same science. There are several series you can follow in his site and there is one, the one I started with “jackkruse.com/emf-5-what-are-the-biologic-effects-of-emf”. This particular one is an eye-opener in that all these energy waves created by the multitude of satellites, cell towers, cell phones, wifi, do not dissipate but are here forever, and they are interfering with our native Schumann Resonance without which we will go extinct. Other creatures even more sensitive than us such as bees, birds and bats are already doing so. This is the sixth extinction, and we are most of us oblivious to it as to why? I think Dr. Martin Blank when he says we can live with this technology when/if we modify it, is wrong, especially not if we consider all the creatures that share this earth with us. I am still having a difficult time dealing with this knowledge especially since I have three little monkeys (grandsons) that may not have a future such as I would like them to have. Pingback: REPORT: USAF – RF/Microwave Radiation Biological Effects (1994) | BOIL THE FROG SLOWLY ~ radio with hosts Sebastian & Pat ~ Are politics hazardous to your health? Thanks so much Kim, this file oughtta be sent all around! Hello Kim, the problem with all radiation is one of resonance. A cell is mostly water and has a resonant frequency. A bit like water in a glass, if any radiation equals that resonant frequency it causes the water to start shaking. Depending on the aggregate to which that cell belongs [the size of the ‘glass’] resonant frequencies can be different for different people and different organs. At high intensity [and close range] the destruction of cells is pretty quick, as is shown by the papers you have given links to. Researchers are then able to correlate destruction with sources of radiation. But even at low intensity, if the exposure is long enough to the same source, cells will still be destroyed. This is a much greater challenge for any researchers, as the damage may only surface years later. Thus this may be a problem which is much larger than it first appears, as there may be any number of frequencies that affect people. It may also be affecting animals and insects – bees for example – for the same reasons. Their cells shaken to pieces by resonance. There needs to be a much more concerted effort to research radiation frequencies and various cells and organs to discover the correlation frequencies. Meanwhile, we might all have to sit in a Faraday cage with our dogs, cats, beehives, fishponds and aviaries, waiting for results!! Passed this along to Rice Farmer, whose blog reaches a wide audience. I am experiencing extremely high levels of radio frequency in my home. As I sit here my body temperature has risen to over 100 degrees and my skin is burning. I live at 16833 S. 22nd. St., Phoenix 85048. The frequency is debilitating. Please investigate.